First class auto electrical services in the Macedon Ranges. Welcome to Macedon Ranges Auto Electrics! Established in the Macedon Ranges since 1995, our family owned and operated business is so much more than simply fixing cars. Our team of well trained, young and enthusiastic people are committed to delivering good country customer service excellence and maintaining quality work standards. With our 30+ year experience in the Macedon Ranges, we understand your vehicle and know how to fix virtually any auto electrical problem to keep you safe on and off the road. We are your trusted professionals! We service both retail and trade customers throughout Macedon Ranges operating from our workshop in New Gisborne and offering a mobile service to the surrounding areas. We specialise in all comprehensive auto electrical repairs of starter motors, alternators, fuel ignition systems, accessory installations and wiring. We have the knowledge and experience to repair where possible, rather than replacing parts, therefore minimising costs for you the customer. At Macedon Ranges Auto Electrics we pride ourselves on treating our customers with respect and honesty. 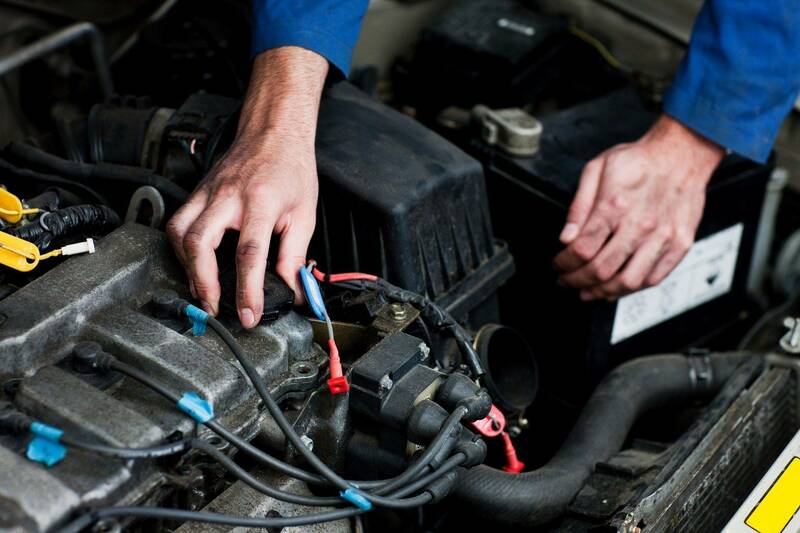 At Macedon Ranges Auto Electrics, we can undertake all your auto electrical repairs and installations for all models of motor vehicles, trucks, boats, trailers, heavy, medium, light rigid vehicles, earthmoving equipment, agricultural vehicles, buses, boats and bikes. You'll receive very high quality service, quality parts and components, a clean worship and a team of qualified technicians. For all your auto electrical repairs or enquiries, please contact Chris Farmer on 0412 957 748 for a chat and free no obligation quote. We provide a first class service with competitive rates for the repair, supply and installation of any electrical components for any vehicle. From a ReGas, to servicing, trouble-shooting, advice and repairs, Macedon Ranges Auto Electrics can help! We are a licensed Air Conditioning service and repair workshop and provide a comprehensive inspection with every Air Conditioning service to ensure your system is working to it's full potential. Having a flat battery every other morning? Macedon Ranges Auto Electrics provide onsite battery tests and replacements. We have you covered with a top quality range of batteries at the right price!